PileAXL is a program that analyzes the behaviour of single piles under axial loading applied at the pile head (compression or tension) for both onshore and offshore engineering problems. Both bored piles and driven piles can be analysed by the program. 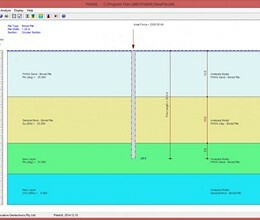 The program computes the ultimate and factored pile capacities for a range of pile lengths together with the short-term pile settlement curve for a specific pile length. Ultimate end bearing resistance within the layered soils is determined by Meyerhof (1976)’s approach with considering the influence effects of upper and lower soil layers. Automatic generation of nonlinear t-z curves and q-w curves for various soil types such as cohesive soils, cohesionless soils and rocks according to the pile installation type. 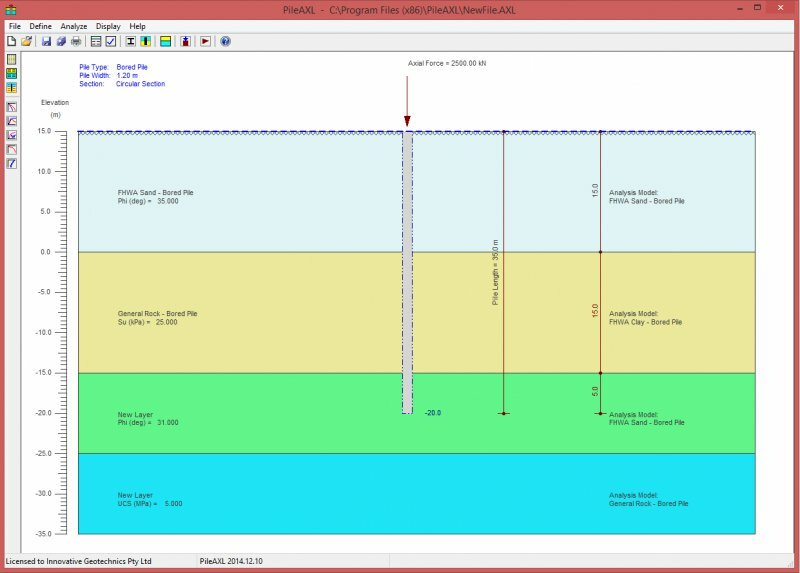 An interactive graphical interface for pile and soil layer geometry input is provided. Important changes in the input data such as pile length, the number of soil layers, soil layer name, soil layer thickness, soil layer colour, analysis model type, water table position, certain soil parameters and pile loading will be automatically updated in the main graph. It is very convenient for the user to visually view the input change. * PileAXL download link provides demo version of the software. No one has rated PileAXL yet. Be the first to rate this product.